By becoming a member of the Leprosy Mission's Running 4 Rights team, you will receive the red Running 4 Rights t-shirt, help getting sponsorship, support on the day, and of course you will gain the wonderful feeling of satisfaction having raised awareness and project funding for people affected by leprosy. Thank you for taking the first step in joining the Running 4 Rights team. The Auckland Marathon is being held on 20th October 2019. Registration is now open! Early entry fees are applicable to 30 June. Register early for the 12km Traverse and half-marathon as places fill up fast. You will receive an e-ticket confirmation by email once your online credit card transaction has been processed and your entry has been accepted. If you do not receive your e-ticket, please check your junk/spam folders. Click 'Create a Fundraising Page' from the Quick Links menu bar to set up a personalised sponsorship page. Search for your event and click on 'AUCKLAND MARATHON' logo. Select a charity by clicking 'International Aid' and then clicking on the LEPROSY MISSION logo. Click on 'Create New Account', enter your account details and press 'continue'. Complete your Fundraising Page by adding your Fundraising Challenge. Remember to name the page 'is Running 4 Rights' in the subject/ appeal name box, e.g. 'Gillian Whitley is Running 4 Rights 2019'. A paragraph about your involvement with LMNZ. If you are happy with your page, press continue and email your friends and family to start fundraising for your run! If you are not setting up a fundraising page online, please email Gillian and she will send you a sponsorship sheet to keep track of your fundraising. If you live outside of Auckland you can identify an organised walk/run event in which you can participate as a member of the Running 4 Rights team to raise awareness and project funding for people affected by leprosy. You can participate in any event between a full marathon/triathlon and a 5km walk/run. Please advise us of the event you are interested in and we will set up a Running 4 Rights team and put you in touch with other participants in your area. 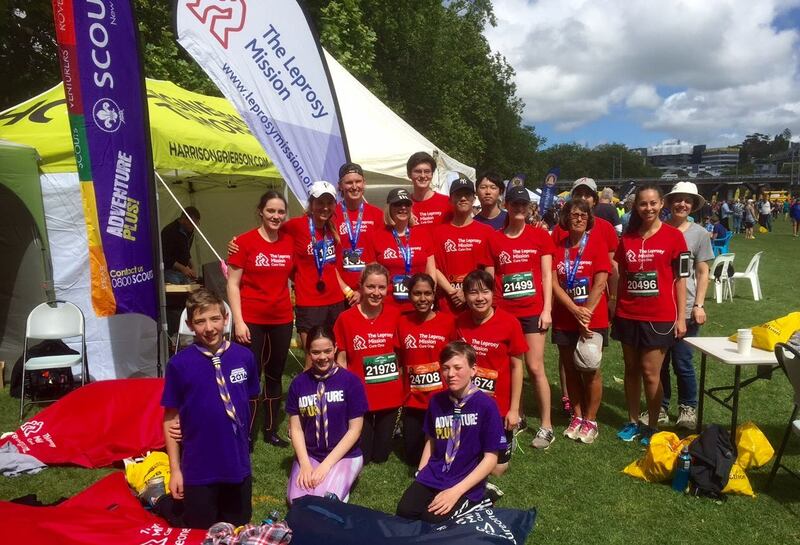 If you have any questions throughout the registration process, please contact your Running 4 Rights team manager, Gillian Whitley, on (09) 631 1806 or email her on GetInvolved-R4R@leprosymission.org.nz.